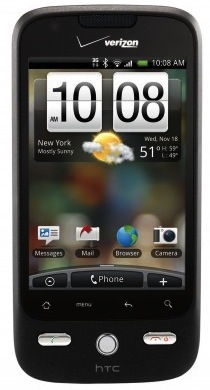 Smartphone Fanatics: Rumor: HTC Droid Eris 2.1 Update Coming "Soon"
Depending on which rumor you have read, the Google Android 2.1 update for the HTC Droid Eris could be coming to Verizon Wireless customers as early as tomorrow, May 11, or as late as the end of the month. Regardless, if a report back in February from Android And Me is true, all of today's Google Android smartphones will be getting the Android 2.1 treatment. I'll give you our option: Bring on the yummy Android 2.1 goodness! Regardless of when the update finally becomes available, we can read about the details of the HTC Droid Eris upgrade on the Verizon website.